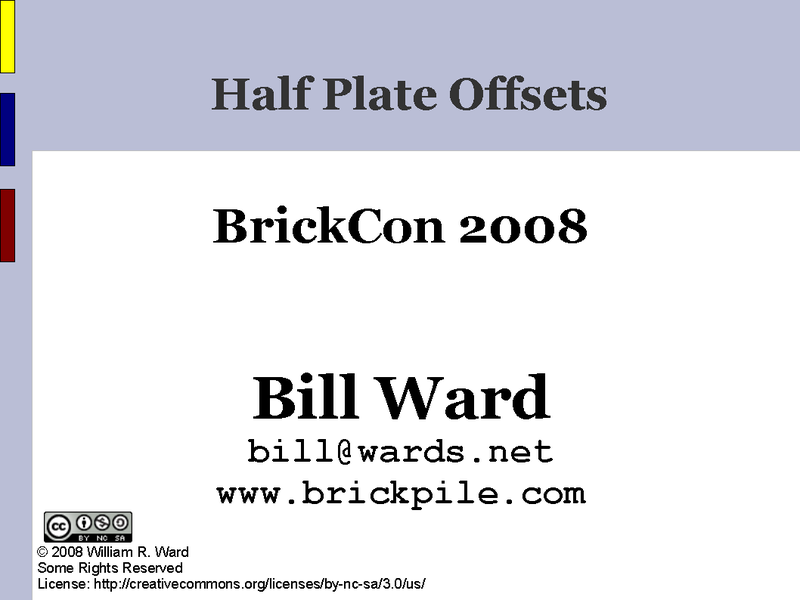 The slides from the Half-Plate Offsets presentation I gave at BrickCon are now available online. The slides are freely available and redistributable using a Creative Commons Attribution, Non-Commercial, Share-Alike license. I took video of the presentation, but I haven’t watched it yet. If it comes out well, I’ll post it online also.